It's been two years since I shared a beauty tutorial, but I've received a lot of questions recently about how to achieve a slicked-back, simple bun with no fly-aways. This is my go-to option during the week, taking less than 3-minutes to fix up and with a secure hold that will stay all day. I love this bun style because it can be used and modified for (almost) all hair lengths (as long as you can get your hair into a bun). Not much of a fan of the ever-popular "sock bun" trend, when I joined the Air National Guard, I told myself, "I will never be caught DEAD wearing a sock bun!" 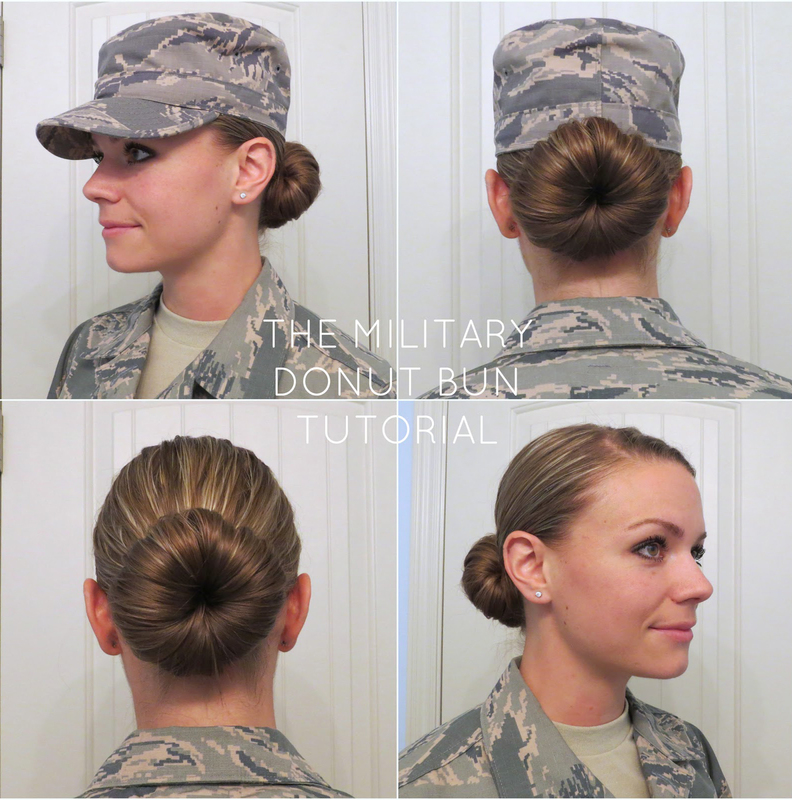 You know, because it seems like every photo you ever see of anyone in the military shows them wearing a sock bun—and I was not going to do it! Let me tell you what, after being at Basic Military Training for about two weeks with short hair that would just not stay up in any kind of bun and having an MTI come up to me and say, "Get it together, Rowe! Your hair looks like a hot mess!" it was then that I decided to embrace the dreaded sock bun. And I decided to call it the "donut bun" instead, because that just sounds better—I suppose. After about three successful buns created with my small, brown mesh donut, I was sold. I don't care what anyone has to say about the donut bun, it's quick, it's easy, it works for almost any hair length that can be put up, and it's the only way to put your hair up in less than a minute as Reveille is going off and 46 girls are scrambling around you to get their beds made. 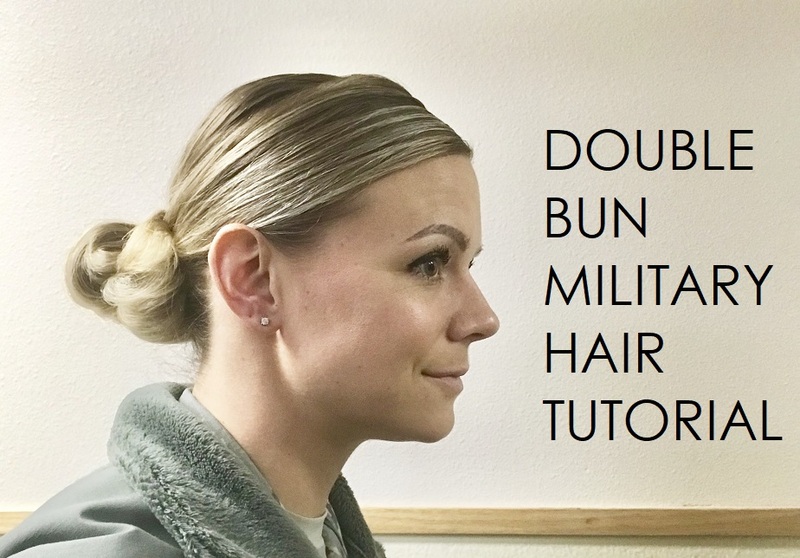 So whether you're researching how best to wear your hair while at BMT or just wanting to try a new updo, here's my tutorial for the military version of the sock bun. My favorite step and trick to the whole process is Step 6, where you give your bun that added bit of volume. I know the slicked-down look is so popular in the military, but I think a nice, full bun (especially if your hair is fine like mine) looks so much better and really elevates the whole look. Also, if your hair is longer—at Step 5, you can either braid or twist the loose ends (try making 3-4 small braids/twists) before pinning them to give your bun a really chic, polished look. Unfortunately, my hair is still far too short to attempt any of those neat tricks, but the other girls at Basic Training looked so nice when they added little braided accents to their buns. Below, I've included the exact products that I bought and used while down at BMT to achieve this style. Do you rock the donut bun? I know several women who wear it out and about and I think it looks really nice—especially when it's not totally slicked down! 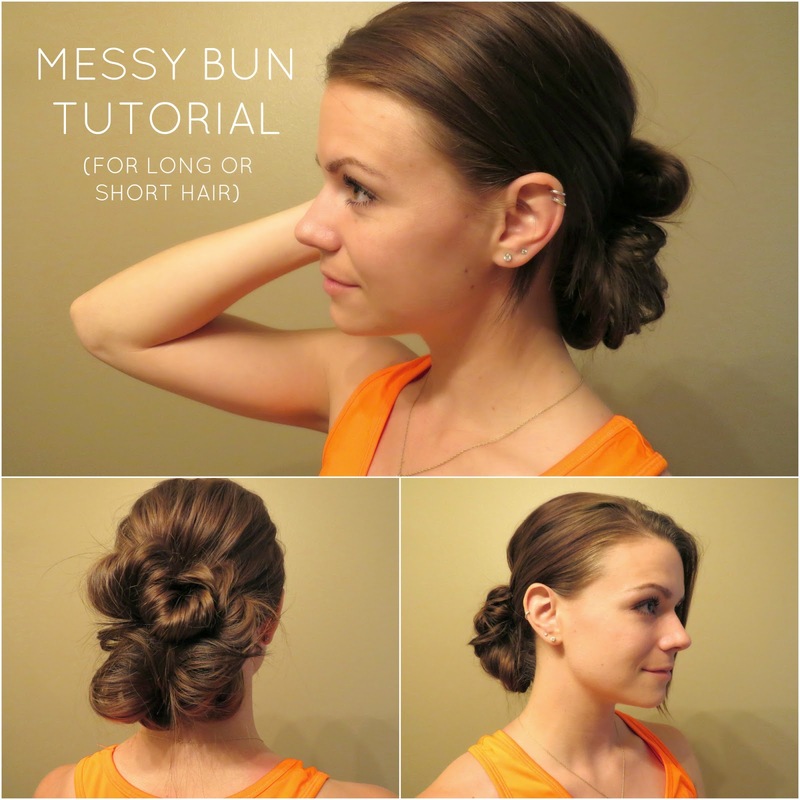 I recently posted a tutorial for a messy bun that is meant for longer hair but can be adapted for shorter hair. Within the video, I included written instructions for how to modify it for those with shorter hair styles. Sometimes seeing it written isn't quite as simple as seeing it being done, so today I'm showing you how I do the shorter-haired version. 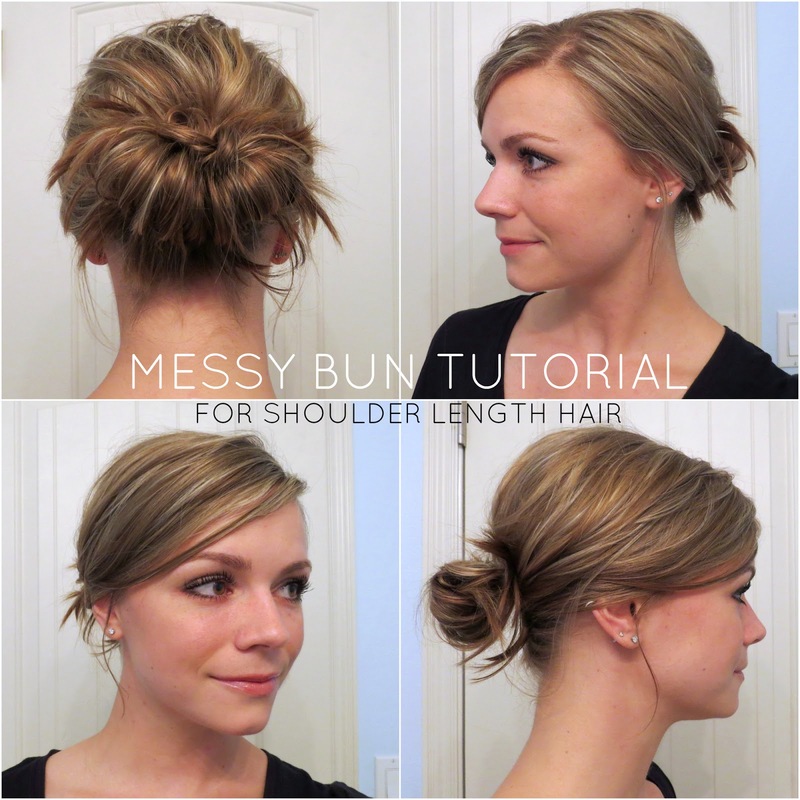 This video is how I do my messy bun when it's anywhere from just below chin-length to just below my shoulders. Once it's long enough, I add back in the double bun featured in the other tutorial. Is that a quick and easy messy bun or what? This is typically how I wear my hair to work during the week (because it's so fast and I get ready at the gym) and for a low-key style on the weekends. In fact, my hair is almost always up in one of these funky buns. Style tip: This updo works best for me if my hair has some curl/wave/kink to it. 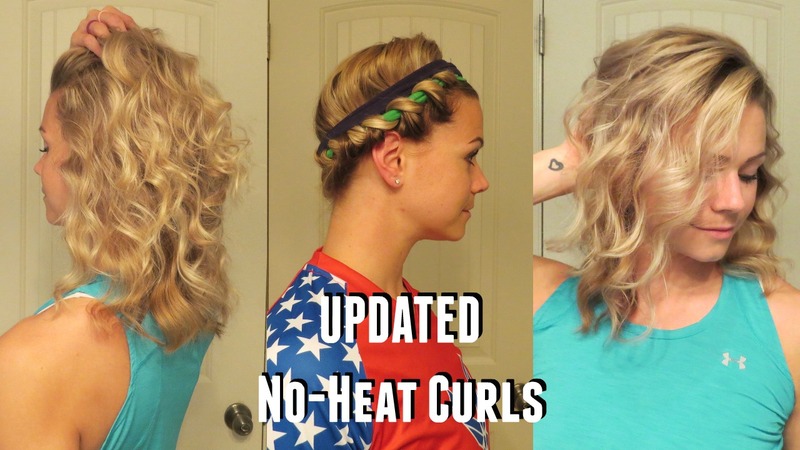 Try curling your hair with this heat-free curling method or sleep in a French braid the night before—it makes a big difference and when you pull and tug to add volume, having either face-framing soft curls or waves really takes this style up a notch (as seen from a distance here—see the face-framing curls? )!